Mike E Winfield grew up in the inner city of Baltimore, MD. In his years of school, his teachers always selected him as the master of ceremonies despite his shy demeanor. The confidence to be in front of large groups was created. Later he discovered he could share his humor, in the likings of a college speech class unintentionally. He shared speeches daily. There was no written humorous content in these speeches but he somehow seemed to entertain students and staff in a comedic fashion, and that’s when he realized he had the gift. The local open mic was once a week on Tuesdays and he never missed a night, often putting other aspects of his life to the side. 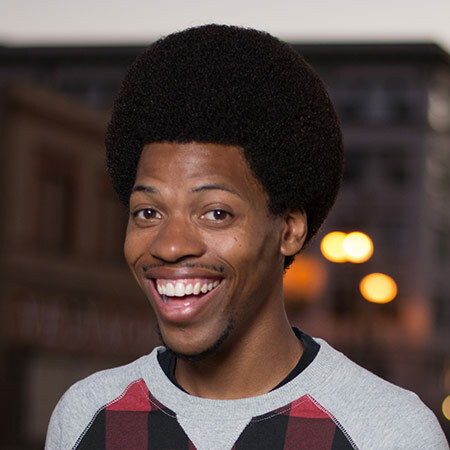 Despite a tough road, countless performances have earned him appearances such as Comedy Central’s Live At Gotham, BET’s Comicview, and most recently, his network television debut on The Late Show w/ David Letterman, and most recently on the Arsenio Hall Show.